Today, many families carefully research and proudly display the crests and mottoes of their ancestors, and pore through family trees to trace the genealogy of their families. A sense of belonging is a basic need, and knowing our origins is a way to connect with those who came before us. While still feeling American first, knowing the nationality of our ancestors helps with that sense of belonging, and many Americans proudly recognize and celebrate the cultures from which they came. Celebrating St. Patrick’s day decked out in green or having a margarita on Cinco de Mayo, we can be proud of where we came from. 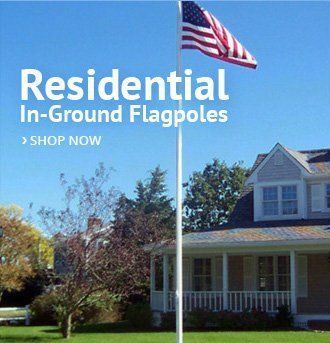 Flying a flag in honor of our family’s origins is a special way to demonstrate that sense of belonging, and AmericanFlags.com makes this easy with its offerings of a wide range of international flags. While learning about one’s own origins, it will become apparent that many national flags seem to have common origins, with many colors, patterns, and emblems all held in common. As with the genealogy of people, national flags have a genealogy—a history of their own. 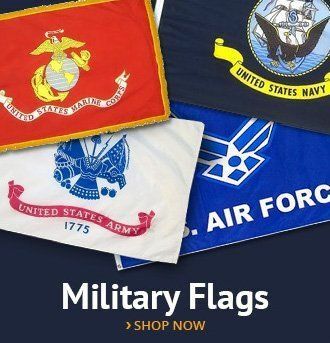 The genesis of the national flag can be found in the battlefields of antiquity and in the pageantry of the middle ages. The popular image of the medieval knight in shining armor evokes a sense of romance, of valor, of men at arms fighting for the honor of a fair maiden. A closer look at the medieval knight though will show that their equipment was not just designed to protect them, but also to identify them upon the battlefield or tournament list. A unique art form, known as heraldry, was developed for the rigorous rules that developed as this grew. Far from just an art of pageantry, the combinations of colors, patterns, shapes, selections of animals and other objects formed a complex language of identification. In battle it helped separate friend from foe, and in a tournament it helped the wearer to stand out from the crowd. In the heraldic tradition, different colors and symbols came to embody different meanings. For example, to display a bear on one’s heraldry was to portray strength, the rose to symbolize beauty, while the axe implied duty. 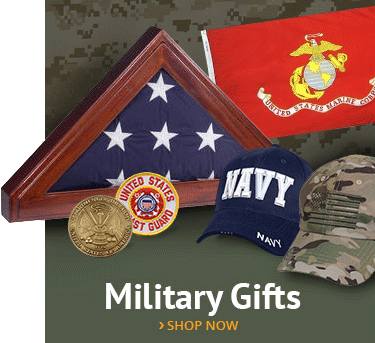 The colors, too, carried meaning, and there were strict rules about which colors could be placed next to each other. Even in medieval times the red, white, and blue of our own Stars and Stripes represented ideas of strength, innocence, and dedication. In fact, the rules of heraldry first articulated in the middle ages carry through to the modern day and have direct bearing on the development of modern flags. Even today, flags must follow the strict guidelines of principles such as “the Rule of Tincture,” and Colleges of Heralds still exist to ensure that new heraldic devices follow the antique rules. For example, when Kate Middleton married Prince William and became the Duchess of Cambridge, it was necessary for her to be granted a coat of arms. Her device was created to represent her, her family and its impending connection to the Royal Family of Great Britain. It consists of three acorns separated with gold and white chevrons, and contains “jokes” that only those versed in heraldry would likely appreciate. The acorns were to represent the Duchess and her siblings. The gold chevron refers to her mother’s maiden name, Goldsmith, and the division down the center between blue and red is a pun on her surname Middle-ton. There are some basic concepts of medieval heraldry. The influence of medieval heraldry extends beyond royal families. Many of these archaic laws of heraldry are still found in design today, from advertising to clothing trends. As with the original meaning of colors carrying down to modern flags, specific emblems from medieval heraldry continue to appear in modern logos. For example, a cross that once represented an off-shoot of the infamous Knights Templar is found in the logos of the Portuguese and Brazilian national Soccer Teams. The Emblem of the Order of Christ, an offshoot of the Knights Templar, is still used today in crests of both the Brazilian and Portuguese National Soccer Teams. As a modern American, the world of the medieval knight and his heraldry can seem so far away as to be of little meaning. However, while time moves on, and particular politicians may come and go, ideas endure, and a flag, more than anything else, represents an idea. 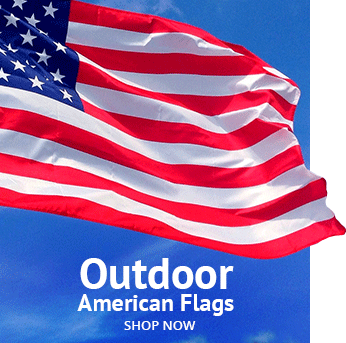 The historical flag collection at AmericanFlags.com offers a sampling of such flags. Just as fashion will disappear only to find itself in vogue again, many Americans find themselves sharing ideas with our Revolutionary forefathers. In this light, Gadsden’s famed “Don’t Tread on Me” banner once again finds itself flown proudly by Americans seeking to ensure our government does not overreach its bounds and tread on the freedoms so many Americans have given so much to protect. Raising a flag in your front yard for all to see evokes that ancient sense of belonging, of marking what is precious and what belongs to us as individuals and as a nation. Perhaps without even being aware of it, we take our place in the line of those who display character through the colors we fly. 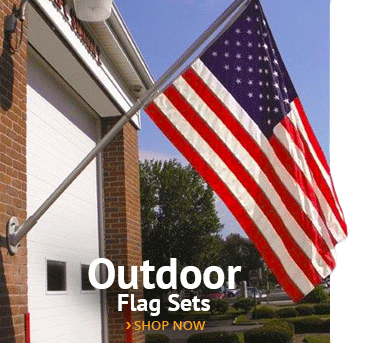 A beautiful, well-made flag highlights an American home as a bastion of those virtues we share and hold dear, and our carefully constructed, made in the USA offerings of American flags will make sure that your respect for the traditions embodied in the flag you fly are as evident as the meaning they evoke.